There was a time (much of my adult life, in fact) when my days were rather chaotic. I would wake up in the morning feeling tired and rushed, because I usually didn’t give myself much time to get ready. I would rush to work in a huge hurry, already feeling stressed out and worried about all I had to get done that day. During the day, I’d bounce from meeting to meeting and task to task, putting out fire after fire. Other people usually saw me as a go-getter and an over-achiever. Somehow, I managed to get a lot done this way, and it seemed like I was able to move ahead…to climb the corporate ladder successfully. I got things done. I delivered results. I got promoted. But all of that came at a cost. I expended tremendous amounts of energy, effort and time to get it all done. I was a workaholic. I worked hard, and I played hard, and I don’t think either of those behaviors were healthy for me. I pushed myself to my physical, mental and emotional limits. I was perpetually riding a roller coaster. I enjoyed the brief high…the adrenaline rush of conquering a new challenge and the sweet taste of success…but then I would dive right back into a low of burn-out, exhaustion and negativity. I certainly didn’t take much, if any, time to think about what I really wanted or why I always pushed myself so hard. Does any part of my story resonate with you? If so, I’m excited to share with you a much better way! In 2013, when I worked with an executive coach and joined a Master Mind, I tapped into the power of intention. I carved out time for myself to start my day off right with an intentional morning routine. I worked with my coach to start thinking about what I really wanted my life to look like. I set annual, monthly, weekly and daily intentions for my life through my Master Mind. I began to see dramatic changes in my life. When I started consciously setting intentions, I began to notice the most curious things. I saw new possibilities for how I might make one of my intentions a reality. Oftentimes, the right people seemed to show up in my life at just the right time (perhaps they had been right there all along, but I had never noticed). Seemingly random events and circumstances happened in such a way that fulfilled an intention or made it much easier. I carried myself differently. I behaved differently. I was more intentional with my actions, sometimes even choosing not to take an action. Somehow, I was able to do more in less time, and feel better while doing it. I felt more in control of my life…I became the creator of my life. Intention sounds pretty awesome, right? Perhaps even magical? Some might think of an intention as a goal. However, I intentionally use the word intention. Wonder why? An intention is mentally determining your desired end outcome or result. A goal is something towards which you direct effort. The key differentiator here is effort. I don’t know about you, but these days, I’m feeling pretty “efforted out!” I prefer to set an intention and allow people, events and circumstances help me make it a reality. It’s quite freeing to realize I don’t have to do this all by myself! Keep a journal, and use it every day! You may be surprised at how transformative this simple practice can be. All it takes is a few minutes in the morning to incorporate this particular practice into your daily routine. If you’re curious why I suggest that you handwrite your intentions in a journal, instead of typing them on your computer, you can check out the neuroscience behind it here. If you already set your overall intentions for 2019 during the 21-Day Vision Quest, congratulations, you’re well on your way!! If you haven’t, you can start a 21-Day Vision Quest anytime (I highly encourage it!). You could also simply carve out some quiet time to consider what’s really important to you, what you want to create for your life, and set some intentions for 2019 that support that. Write these intentions in your journal. Share these intentions with people who support you, whether it’s through a Master Mind group, an accountability partner, or someone else who wholeheartedly supports you. Spend a minute or two thinking about the day ahead of you. Write down a simple intention for your day. Your intention might be a state of being you want to embody (e.g., I am bold, I am fearless), a feeling (e.g., I feel at peace about _______), an attitude (e.g., I greet today with excitement and expect good things.) or a desired outcome (e.g., I easily gain 5 new clients and $10k new revenue). Be sure to use the present tense, as if your intention is already a reality. 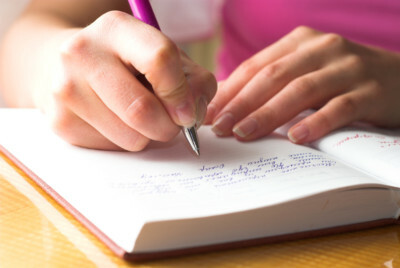 At the beginning of each week and month, spend a few additional minutes to write down your intentions for the upcoming period in your journal, in the same manner as your daily intentions. At the end of each week and month, take a few moments to look back at your intentions and reflect on how they may have shown up in your life or whether they showed up at all. Sometimes I am quite surprised by how my intentions end up working out. Even when they don’t materialize (and it’s likely many of yours won’t either), I always find it curious how I can nearly always identify a good reason why, with enough hindsight…sometimes I don’t end up wanting what I thought I did, or something even better came along instead. Consider tapping into the power of an Ellivate Master Mind or another group of like-minded people to support you. During a Master Mind meeting, you set an intention to help move you closer to your overall 2019 intentions and share that with your partners, who in turn affirm your intention.